In 2030 Australia’s pot of superannuation money will hit around $6 trillion, and the man known to some as the ‘godfather of superannuation’ believes that money could be doing so much more. “Clearly there is opportunity for more and more of that money, for a lot more than we currently spend, to be spent right here in Australia, creating a great future for this country,” Garry Weaven told 7.30. Mr Weaven is the chair of IFM Investors, which manages $113 billion worth of superannuation money for 27 Australian industry superannuation funds. He is retiring in December after a career that began at the ACTU in the 1980s making the case for compulsory super, before various leading roles in the union-backed industry funds sector. His parting wish, which comes at the end of a watershed year for superannuation, is for super to be used not just to benefit retirees, but also to build infrastructure, water services, renewable energy and social housing. “Governments of whatever persuasion, state and federal, [could] engage with the superannuation industry in a very forthright, transparent and open way about how more of that money can be put to work for the long-term benefit of Australians,” he said. Currently around 4.5 per cent of Australia’s $2.7 trillion superannuation pot is invested in infrastructure. Investments are made on a case-by-case basis by governments and individual funds. IFM is already Australia’s biggest infrastructure investor, with $51.1 billion in infrastructure assets under management, including airports, railway stations and ports. With the squeeze on bank credit brought on by the royal commission, superannuation funds are increasingly being seen as possible sources of capital. But in Mr Weaven’s vision it is not just about putting in the money. He believes governments, businesses and super funds should collaborate to achieve agreed social and environmental projects, with all the country’s super funds offered a chance to invest, with good returns a prerequisite. “There’s a clear role for government,” he told 7.30. But John Daley of the Grattan Institute says that is just not how the world works, or how investment should work. “We don’t run our country as some kind of happy utopian cooperative between big business, government and superannuation funds, where they all kind of get into some smoky room and decide where the money will be spent,” he said. 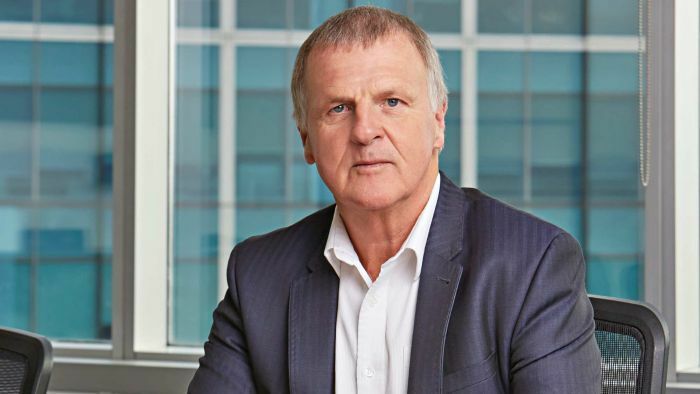 Dr Martin Fahy, chief executive of the Australian Superannuation Funds Association, is also cautious about moving beyond the current case-by-case infrastructure investment arrangement. “There’s no doubt that there are vital mechanisms for states and governments to recycle capital,” he said. “It’s important to understand though, the business of superannuation is funding people’s retirement. However, governments overseas are starting to use pension funds as partners not only for infrastructure, but also for social outcomes. Six of Denmark’s biggest pension funds have invested in a new 671 million euros investment fund set up and administered by the Danish government to help meet the UN’s Sustainable Development Goals. Targeted at developing countries, it is also expecting to yield 10-12 per cent for investors, and help promote Danish businesses and technology in emerging markets. In Quebec, Canada’s second-biggest pension fund is partnering with provincial and federal governments to build a rapid transit network from scratch. In a complete inversion of the standard approach of investing in already mature infrastructure projects, Caisse de Depot et Placement du Quebec worked with the governments to plan the new train network. The Caisse will own a majority stake, with a projected 8 per cent return. The fund is also reportedly in discussion with cities and states in the United States to export the model there. Mr Weaven believes Australians are ready for a similar sort of collaboration here. “I think a lot of people are interested in nation building and want Australia to be a really great nation that fulfils its objectives, economic, environmental and social,” he said. “Others simply want to be able to get to work in a reasonable period of time. Or find a house that they can afford.